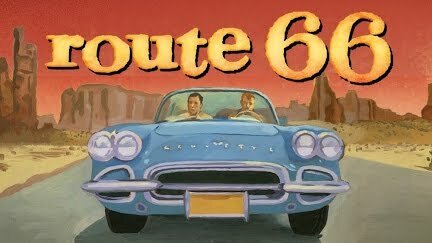 I love the image they've come up with for re-releases of the classic Route 66 TV series. Amazon Prime is now showing all episodes for free -- and last night I saw one that I'd never seen before. Its title? "Shoulder the Sky, My Lad." 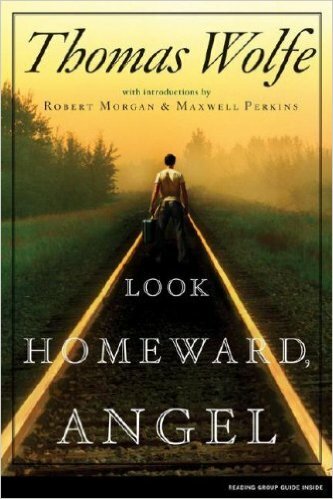 In his first novel, Look Homeward Angel, 29-year-old Thomas Wolfe remembered a turn-of-the-century Thanksgiving from his boyhood in Asheville, North Carolina. In his nostalgic fictionalized memoir, Wolfe calls himself young Eugene -- the toddler son of a couple named Eliza and a wildly prodigal stone-cutter named Gant. Seated before a roast or a fowl, Gant began a heavy clangor on his steel and carving knife, distributing thereafter Gargantuan portions to each plate. Eugene feasted from a high chair by his father's side, filled his distending belly until it was drum-tight, and was permitted to stop eating by his watchful sire only when his stomach was impregnable to the heavy prod of Gant's big finger. "There's a soft place there," he would roar, and he would cover the scoured plate of his infant son with another heavy slab of beef. That their machinery withstood this hammer-handed treatment was a tribute to their vitality and Eliza's cookery. It's called "Harum Holiday," but it's really about wanderlust -- that urge to get out of town and see the wide world. And amazingly, in this movie Elvis ends up going to Iraq! Click here to read about Elvis's adventures in Iraq in "Harum Scarum"
Route 66 -- the TV show, the highway, the legend, and the dream. Everyone knows I'm fascinated with "life on the road", and today I learned something wonderful. That the theme to the Route 66 TV show has lyrics! I love The Secret Life of Walter Mitty. And I'm fascinated by this song from its soundtrack. Its title is "Step Out," but the lyrics are a little darker. I could've sworn they were singing "House on fire. Leave it all behind you..."
Click here for the haunting lyrics to "Step Out"
I discovered there's a "last episode" of Route 66. Tod gets married -- his bride is played by Barbara Eden -- but in the last scene, her scheming relatives immediately have him murdered in order to claim his inheritance. The episode actually ends with them throwing his body off a high bridge, while his bride weeps. 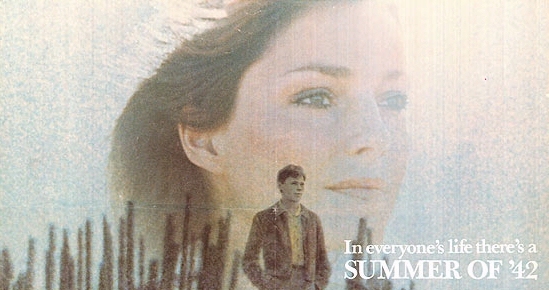 I was walking around a beach town when I suddenly remembered the movie "Summer of '42." (A teenaged boy in a summer resort town has a crush on a woman whose husband is serving in the war...) Remembering the movie, I felt like I had to know: was the movie really based on a true story? You can listen to the song below while watching a pretty video showing a field of flowers. And if you're a hard-core Monkees fan, I'll also tell you which 26 love songs I picked! Here's a fun list of the best TV moments of 2011 ! It looks like on Black Friday, there's going to be a three-way price war between the Kindle, the Nook, and the iPad! I wrote my first ebook!!! 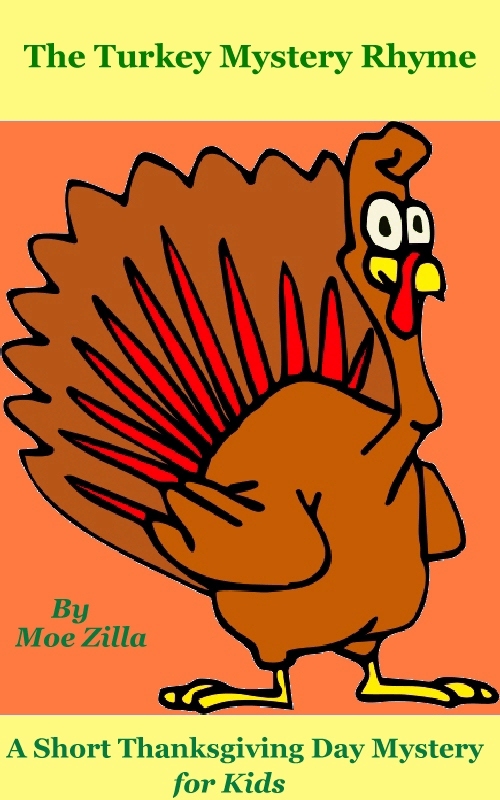 It's a fun (and funny) short "Thanksgiving mystery" about four turkeys awaiting the farmer's axe -- one of which has a plan for escaping! There's 12 cartoon-ish illustrations -- and the whole thing is written entirely in rhyme! "For Thanksgiving, try this game / Find the guilty turkey's name!" I absolutely loved the opening "season premiere" song on Community. Click this link for lyrics and trivia. I've become obsessed with the great music that Ben Folds wrote for "Over the Hedge." William Shatner was on his (new!) version of "Rocking the Suburbs" - and there's a gentle ballad called "Still" that's really beautiful. 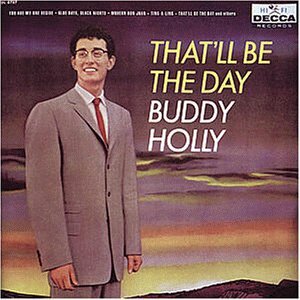 I love the sweet (and satirical) '60s euphoria he sneaks into songs like "(I've Always Got My) Family of Me" and even a cover of The Clash's "Lost in the Supermarket" . The melody itself is almost a commentary on middle-class suburban life. The perfect example is my favorite song from the movie, "Heist". Ever since I was a teenager watching Three's Company, I've been tantalized by this line from the opening credits. "Based on the British series A Man About the House." Today I realized I could finally just watch the original British version of Three's Company online! "A fellow movin' in with two birds...? I'm not having it!" The opening credits are absolutely terrible. 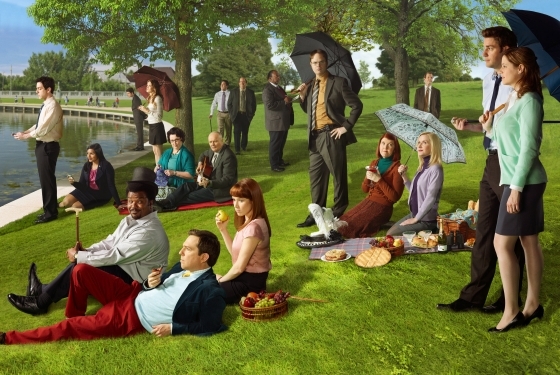 Yes, it's the cast of "The Office" re-creating George Seurat's painting, "Sunday in the Park". Click here for a larger image, the back story, and a side-by-side comparison with the original painting. Here's an inspiring story. A part-time cameraman for the news (and commercials) at a local TV station in Texas was hired in the 1970s to start filming NCAA football games. Eventually he was filming NFL games and even part of the Olympics in Mexico City. But Steve Rash had a dream. And he spent the next five years raising money to make it come true. Later Cryer told David Letterman seriously that "It's as much a mystery to me as to everyone, I think." Edgar Allan Poe described walking to a tomb in a brilliant but forgotten poem called "Ulalume". ("Perhaps befitting the gothic poet, Ulalume has a secret history," writes Moe Zilla). After his death, Poe's literary executor deleted the last stanza -- though the poem's even spookier without it. And somehow, YouTube has a video of the poem being recited by Nico of The Velvet Underground. There's a great speech about the economy towards the end of The Girl with The Dragon Tattoo.